Sick child in hospital. Sick child being cared for by a relative or medical worker. The child is undergoing a blood transfusion. 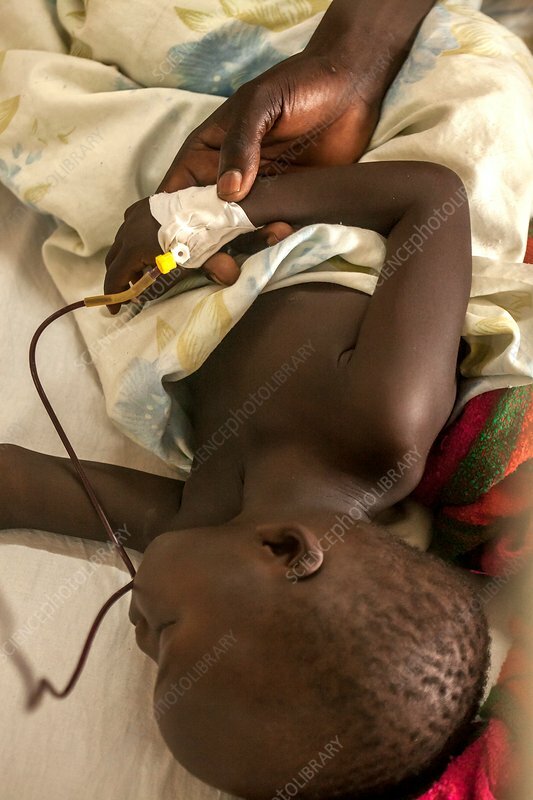 Photographed at St Mary's Hospital, Lacor, Gulu, Uganda.